It was a performance that tagged Saudi Arabia as one of the teams to beat at the continental showpiece along with Iran, who thrashed Yemen 5-0 on Monday. The Green Falcons attacked relentlessly in the opening stages and Hatan Bahbri put them in front in the 28th minute, turning defender Ri Il Jin inside-out and firing into the far corner. Earlier, Iraq’s Ali Adnan swept home a brilliant, last-minute free-kick as the former champions twice hit back to beat Vietnam 3-2. 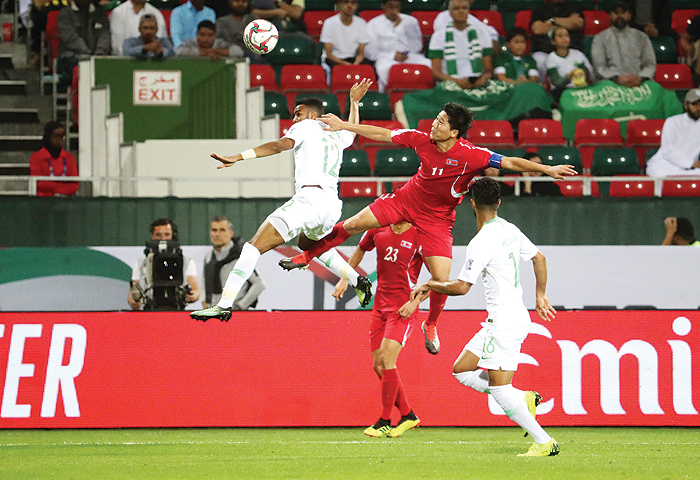 It was a heart-breaking way for Vietnam to lose in Abu Dhabi, but no more than Iraq deserved for going for the jugular after Humam Tareq had hauled them level on the hour-mark.